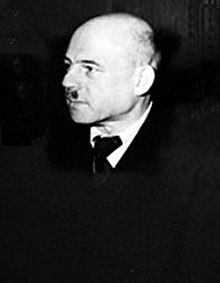 Ernst Friedrich Christoph "Fritz" Sauckel (27 October 1894 – 16 October 1946) was a Nazi war criminal. He organized the systematic enslavement of millions from lands occupied by Nazi Germany. He was General Plenipotentiary for Labour Deployment from 1942 until the end of the war. He was tried and executed. Sauckel was also honorary Obergruppenführer of the SA. This page was last changed on 29 September 2017, at 09:48.